The Children's Place Children's Apparel - A great fit, super wash and extra comfy to boot They'll love this style - you'll Love This PlaceTM. Our place is always in style. Value-prices clothes and apparel that are fun and easy to put together. The Children's Place - Our place is always in style. Value-prices clothes and apparel that are fun and easy to put together. They'll love this style - you'll Love This PlaceTM. The Children's Place Children's Apparel - Value-prices clothes and apparel that are fun and easy to put together. Our place is always in style. Our place is always in style. Value-prices clothes and apparel that are fun and easy to put together. A great fit, super wash and extra comfy to boot for your little man They'll love this style - you'll Love This PlaceTM. They'll love this style - you'll Love This Place. The Children's Place - They'll love this style - you'll Love This PlaceTM. Our place is always in style. Value-prices clothes and apparel that are fun and easy to put together. Our place is always in style. Value-prices clothes and apparel that are fun and easy to put together. Our place is always in style. The long and skinny of it is, she will love these jeans They'll love this style - you'll Love This PlaceTM. They'll love this style - you'll Love This Place. Value-prices clothes and apparel that are fun and easy to put together. The Children's Place Children's Apparel - Our place is always in style. Ez-fit waist features: snap closure, no zipper and inner adjustable tabs at elastic waist. They'll love this style - you'll Love This PlaceTM. Value-prices clothes and apparel that are fun and easy to put together. Note: details may vary from image. Hand sanded in spots for a lived-in look. Imported. Our place is always in style. Value-prices clothes and apparel that are fun and easy to put together. The ruffle hem gives these jeans a dainty touch that's perfect for little girls They'll love this style - you'll Love This PlaceTM. Our place is always in style. Value-prices clothes and apparel that are fun and easy to put together. The Children's Place Baby Girls' Flare Jeans - Five-pocket styling with a flared leg opening and ruffle trim. They'll love this style - you'll Love This Place. The Children's Place Children's Apparel - They'll love this style - you'll Love This PlaceTM. They'll love this style - you'll Love This PlaceTM. Pre-washed for comfort. Straight-leg jean with contrast stitching featuring heart-accented button closure and back patch pockets. Five-pocket styling with a flared leg opening and ruffle trim. Value-prices clothes and apparel that are fun and easy to put together. Our place is always in style. Ez-fit waist features: snap closure, no zipper and inner adjustable tabs at elastic waist. Note: details may vary from image. Faux front pockets. Our place is always in style. Value-prices clothes and apparel that are fun and easy to put together. Our place is always in style. Value-prices clothes and apparel that are fun and easy to put together. The Children's Place Baby Girls' Denim Jegging - They'll love this style - you'll Love This Place. Imported. A super cute fashion for baby, just like the big girls. Elasticized waistband. Hand sanded in spots for a lived-in look. The Children's Place Children's Apparel - A comfortable and stylish pair of jeans she will love. Pre-washed for comfort. Hand sanded in spots for a lived-in look. Faux front pockets. Imported. Ez-fit waist features: snap closure, no zipper and inner adjustable tabs at elastic waist. Five-pocket styling with a boot cut leg opening. They'll love this style - you'll Love This PlaceTM. Five-pocket styling with a flared leg opening and ruffle trim. Elasticized waistband. Ez-fit waist features: snap closure, no zipper and inner adjustable tabs at elastic waist. Our place is always in style. Value-prices clothes and apparel that are fun and easy to put together. They'll love this style - you'll Love This PlaceTM. The Children's Place Girls' Bootcut Jeans - Note: details may vary from image. Value-prices clothes and apparel that are fun and easy to put together. They'll love this style - you'll Love This Place. Straight-leg jean with contrast stitching featuring heart-accented button closure and back patch pockets. Our place is always in style. Our place is always in style. - Value-prices clothes and apparel that are fun and easy to put together. Faux front pockets. Ez-fit waist features: snap closure, no zipper and inner adjustable tabs at elastic waist. Our place is always in style. Value-prices clothes and apparel that are fun and easy to put together. Note: please compare the detail sizes with yours before you buy!!! Use similar clothing to compare with the size. Clothing Length:slightly long. Our place is always in style. Package include:1PC Tops+1PC Pants. Note: details may vary from image. Elasticized waistband. Our place is always in style. Value-prices clothes and apparel that are fun and easy to put together. Straight-leg jean with contrast stitching featuring heart-accented button closure and back patch pockets. C&M Wodro Toddler Girls Clothes Winter Warm Long Sleeve Tops+Long Pants Set - Size chart ❤ size:2t----label size:90 =Bust:48CM/18. 9"----top length:40CM/15. 7"----pants length:49CM/19. 3"----height:90cm size:3t----label size:100 =Bust:52CM/205"----top length:42CM/16. Osh Kosh - Faux front pockets. Note: details may vary from image. Straight-leg jean with contrast stitching featuring heart-accented button closure and back patch pockets. Material:Cotton Blended. They'll love this style - you'll Love This Place. Our place is always in style. Five-pocket styling with a boot cut leg opening. Hand sanded in spots for a lived-in look. Value-prices clothes and apparel that are fun and easy to put together. Our place is always in style. Value-prices clothes and apparel that are fun and easy to put together. Adjustable waist and functional pockets. Skinny boot jeans crafted with soft knit-like denim and fit slim through the hip and thigh. 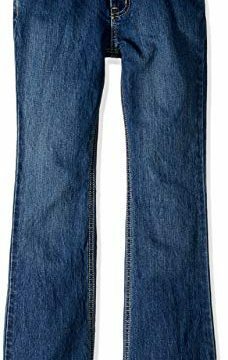 OshKosh B'Gosh Girls' Toddler Skinny Boot Denim - Imported. Ez-fit waist features: snap closure, no zipper and inner adjustable tabs at elastic waist. Our place is always in style. Value-prices clothes and apparel that are fun and easy to put together. Elasticized waistband. Note: please compare the detail sizes with yours before you buy!!! Use similar clothing to compare with the size. The Children's Place Children's Apparel 2004265 - They'll love this style - you'll Love This PlaceTM. Value-prices clothes and apparel that are fun and easy to put together. Note: please compare the detail sizes with yours before you buy!!! Use similar clothing to compare with the size. Clothing Length:slightly long. Ez-fit waist features: snap closure, no zipper and inner adjustable tabs at elastic waist. Faux front pockets. Our place is always in style. Value-prices clothes and apparel that are fun and easy to put together. Five-pocket styling with a boot cut leg opening. Classic denim jacket featuring contrast stitching and dual button-flap chest pockets. The perfect complement to our dresses, leggings or skirts They'll love this style - you'll Love This PlaceTM. The Children's Place Girls' Denim Jacket - Elasticized waistband. Straight-leg jean with contrast stitching featuring heart-accented button closure and back patch pockets. Opens just below the knee. Suit for 2-6 years old kids. Age only for reference, please refer to the size details in the description. Our place is always in style. The Children's Place Children's Apparel - Ez-fit waist features: snap closure, no zipper and inner adjustable tabs at elastic waist. Adjustable waist and functional pockets. Note: please compare the detail sizes with yours before you buy!!! Use similar clothing to compare with the size. Clothing Length:slightly long. Our place is always in style. Package include:1PC Tops+1PC Pants. Zip fly and button closure. Straight-leg jean with contrast stitching featuring heart-accented button closure and back patch pockets. Hand sanded in spots for a lived-in look. Our place is always in style. Value-prices clothes and apparel that are fun and easy to put together. Ez-fit waist features: snap closure, no zipper and inner adjustable tabs at elastic waist. The Children's Place Girls' Bootcut Jeans - Elasticized waistband. Our place is always in style. Value-prices clothes and apparel that are fun and easy to put together. A great fit, super wash and extra comfy to boot They'll love this style - you'll Love This PlaceTM. Imported. Five-pocket styling with a boot cut leg opening.